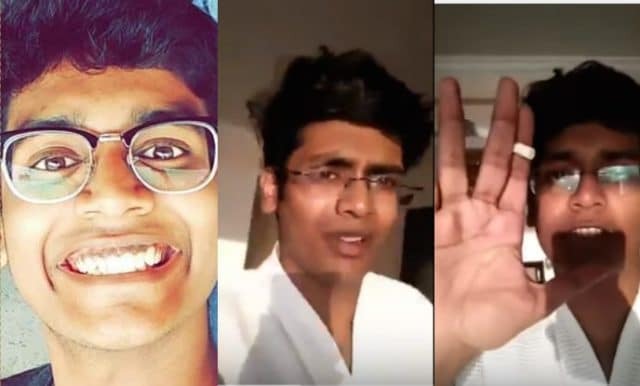 Arjun Bhardwaj Facebook Live suicide video: Indian student films 19th floor suicide plunge, saying he’s fed up being a drug addict before killing self. Arjun Bhardwaj a 24 year old Indian student has died after falling to his suicide death after jumping from the 19th floor of a 5 star hotel in the Bandra area of Mumbai. 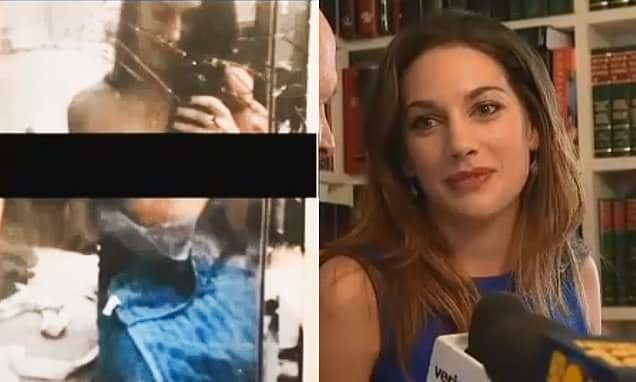 The man’s death comes after having earlier given ‘suicide tutorials’ on Facebook Live before filming his own suicide death shortly after. A report via the Times of India told of Bhardwaj’s death taking place at the exclusive Taj Lands End Hotel, Monday early evening circa 6.30pm after having checked in earlier that day at 3am. In the moments prior to his suicide death, Bhardwaj a third year engineering student posted a video clip, ‘How to Suicide’, running one minute and 43 seconds in which he said he’d written to his family and had gotten drunk and eaten a good dinner. In the video, he is seen with a bottle of red wine, smoking a cigarette, eating bacon pasta, and wearing a bathrobe. 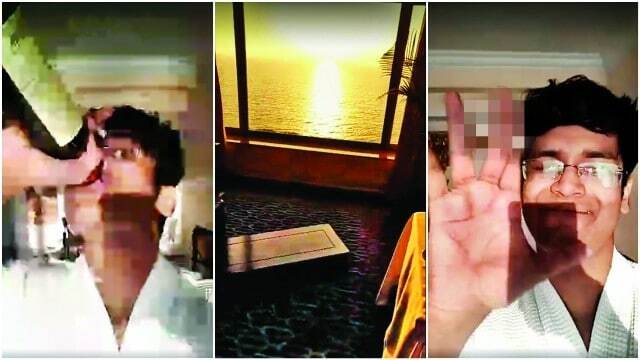 At one point, Bhardwaj says, ‘see you on the other side’ to camera, before he threw a chair at the window to smash it and hurled himself from the room. A spokesperson from the Narsee Monjee Institute of Management Studies, a reputed local university later confirmed the student’s death, saying Arjun Bhardwaj had died on impact. A report via the dailymail tells of Arjun originally being from Bengaluru city, in Karnataka, in southern India, and had been in Mumbai for four years attending college and renting a place in Andheri. He left a suicide note stating ‘nobody shall be held responsible for his death’ and was taking this drastic step because he was ‘a drug addict and fed up of life’. Police later said that Bhardwaj, the eldest son of Bengaluru-based businessman was depressed after repeatedly failing in his third year engineering exams. 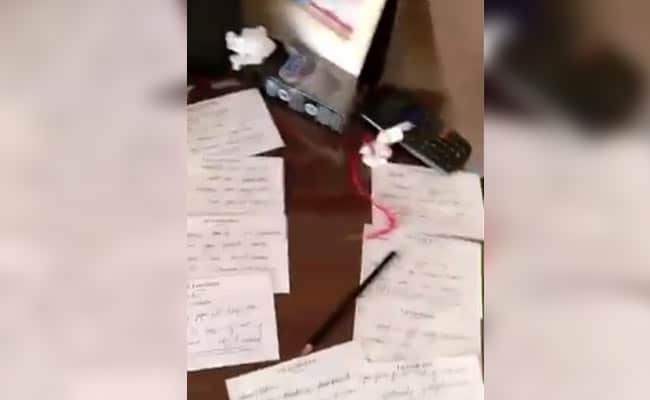 Senior Inspector Pandit Thackeray, from Bandra Police Station, said: ‘We have recovered seven letters written by him from the hotel room in which he has apologized to his family and friends. ‘He was depressed for a long time and a drug addict. ‘We have registered the case as accidental death. Arjun Bhardwaj Facebook Live suicide. Before jumping, Arjun Bhardwaj, whose family is in Bengaluru, posted a ‘suicide tutorial’ on Facebook. Pictured letters he’s written to family and friends before leaping to his death. Police investigating the case are checking CCTV from the hotel to check if anyone visited Arjun on the day he took his life. A spokesperson of the Taj Lands End Hotel said: ‘We are aware of the unfortunate incident that took place yesterday. ‘We are extending our full cooperation to all the investigating authorities concerned. Of question is what led to the upwardly mobile son choosing to film his own impending suicide death and share it on social media? Just came across Arjun Bhardwaj’s video on FB. Just saw video of Arjun Bhardwaj jumping from 19th floor of Taj Lands End window. My heart is pumping so fast and I have shaking.